A cryptid is a creature whose existence has been suggested, but not accepted by the scientific community. The term was coined in 1983 by a man named John E. Wall. Hundreds of cryptids exist around the world with some of the most famous being the Yeti, Loch Ness Monster, and El Chupacabra. In order to study reliable accounts of unexplained creatures you often need to visit some of the most remote places on Earth, including the Amazon Rainforest, Papua New Guinea, Antarctica, sections of Canada, Russia, Vietnam, and the Congo. This article will examine ten stories about cryptids. I have focused on large animals, with Sasquatch making multiple appearances. Gigantopithecus is an extinct genus of ape that existed as recently as 100,000 years ago. Fossils of the creatures have been uncovered in China, India, and Vietnam. The species lived in the same location as several other hominins, but were much larger in body size. Fossil records suggest that Gigantopithecus blacki reached the size of 3 meters (9.8 ft), and weighed up to 540 kilograms (1,200 lb). In 1935, the first official remains of Gigantopithecus were discovered by a distinguished paleontologist and geologist named Gustav Heinrich Ralph von Koenigswald when he found a collection of bones and teeth at an apothecary shop in China. Ralph von Koenigswald came to learn that a large amount of the creatures fossilized teeth and bones were used in ancient Chinese medicines. The fossils of Gigantopithecus are primarily found in the southeast section of Asia. In 1955, forty-seven Gigantopithecus blacki teeth were found among a shipment of “dragon bones” in China. Authorities traced the shipment back to a source that had a huge collection of Gigantopithecus teeth and jawbones. By 1958, three mandibles (lower jaws) and more than 1,300 teeth of the creature had been recovered. Not all the remains have been dated to the same time period and there are three (extinct) named species of Gigantopithecus. The jaws of Gigantopithecus are deep and thick. The molars are flat and exhibit the ability for tough grinding. The teeth also have a large number of cavities, which is similar to giant pandas, so it has been hypothesized that they might have eaten bamboo. An examination of the microscopic scratches and plant remains found embedded in Gigantopithecus teeth has suggested that the creatures ate seeds, vegetables, fruit, and bamboo. All of the traits exhibited by the Gigantopithecus have caused some cryptozoologists to compare the creature to Sasquatch. One of these people is Grover Krantz, who believed Bigfoot was a living member of Gigantopithecus. Krantz believed that a population of the creatures could have migrated across the Bering land bridge, which was later used by humans to enter North America. In the early 20th century, it was thought that Gigantopithecus blacki was an ancestor of humans, due to the molar evidence, but this idea has since been dismissed. Today, the idea of convergent evolution has been used to explain the molar similarities. Officially, Gigantopithecus blacki is placed in the subfamily Ponginae along with the orangutan. Pteranodon is a genus of pterosaurs that included some of the largest known flying reptiles. They held a wingspan of over 6 meters (20 ft) and existed in North America, specifically present day Kansas, Alabama, Nebraska, Wyoming, and South Dakota. For over 200 years, people in these areas of the United States have reported enormous birds. The bird sightings are so prevalent that the creatures have been given the name Thunderbirds, which is taken from Native American mythology. In many cases, Thunderbird reports are accompanied by large footprints. Probably the most controversial report surfaced on July 25, 1977, when a group of three children from Lawndale, Illinois, claimed that two giant birds chased them and then grabbed a ten-year-old boy named Marlon Lowe. One of the birds reportedly clamped down on Lowe’s shoulder with its claws, lifted him about two feet off the ground, carried him some distance, and then released him. In an interesting twist, there is a second photograph on the Internet that displays the exact same scene, but is known to be faked. The picture is not as convincing, but was made to look similar to the original for a television show named Freaky Links, which aired on the Fox network. 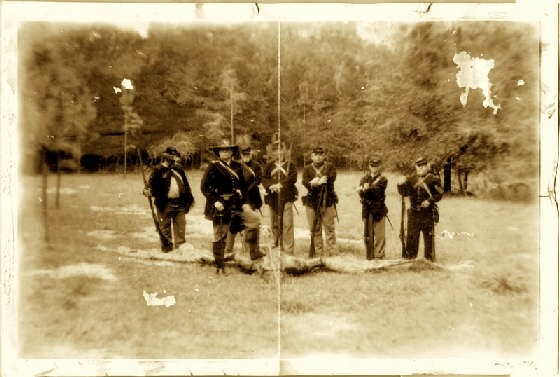 The fake picture shows soldiers standing over a different carcass. The image is deceiving and the fact that there are two photographs that show the same thing has discredited the original. Whatever the case, the picture remains an interesting story. Today, Thunderbirds are one of the most popular cryptids in North America. One of the best Bigfoot videos of late is the Pennsylvania White Bigfoot clip, which was taken in Carbondale, Pennsylvania. For many years, the residents of Carbondale have reported some bizarre sightings of a white Bigfoot. Carbondale is a small city that was the site of the first underground mine in the United States. It used to be a major terminal of the Delaware and Hudson Railroad. In July of 2008, a local news station in Pennsylvania ran a story which talked about the “white creature” after receiving an anonymous email. It was said to be “some sort of animal about 6 to 7 feet (1.8 to 2.1 meters) tall, covered in all white fur.” The email specifically mentioned a wooded area in Carbondale near a mine reclamation site. Mine reclamation is the process of restoring land that has been mined to an economically usable condition. In 2010, people began to report sightings of a white juvenile Bigfoot in Carbondale, Pennsylvania. Homeowners began to hear strange noises and disturbances in the woods. In one case, an unidentified man witnessed movement in his backyard and was able to capture some bizarre video footage. For one full second, the man filmed a large white creature that resembled the shape of a Bigfoot. In the video, as the man’s camera hits the creature’s face, it quickly moves away. Over the Internet, the video clip is said to display some bizarre factors. For starters the animal’s body proportions are extremely large, which is not easily faked. The creature holds a defined brow ridge, coned head, and hooded nose. The shoulders are extremely high and the arms are long. The object is fast and mobile. The creature has white fur on its head and small ears. Most importantly, the video shows the object’s face contorting as it runs away, which suggests that it may not be a mask. The included video has the clearest footage. You can fast-forward to the action. The Cat Sìth is a creature from Celtic mythology that resembles a large black cat with a white spot on its breast. The cat is mentioned in several legends and is said to haunt the Scottish Highlands. In the past, people in this area of the world used to believe the Cat Sìth was a transformed witch. For centuries, stories of unexplained black cats have been reported in Scotland. In most cases, the animals are said to be the size of a dog, with a thick tail and arched back. In Edgar Allan Poe’s short story, “The Black Cat,” a magical feline with a white patch on its breast is featured. Over the last 100 years, hundreds of people have reported black jaguar-like cats in the United Kingdom. The Beast of Bodmin is a phantom wild cat that has been said to live in Cornwall, England. The cat came to the attention of the media after people began to report mutilated livestock. In Scotland, black cats were thought to be a mythological species until 1984 when Ronnie Douglas shot and killed the first Kellas Cat. The animals DNA was tested and found to be a hybrid between wild and domestic sub-species of Felis silvestris. The discovery of the Kellas cat was remarkable and proved that the Scottish legends of black cats were true. The Kellas cat is described as being over 65 cm (25 inches) long, with powerful hind legs and a tail that can grow to be around 30 cm (12 inches) long. In some areas of Scotland, larger specimens have been sighted. The animal’s huge tail makes it stand out among other felines, while others have reported that the Kellas cat looks like a hybrid between a black cat and a rabbit. Similar to the Cat Sìth legend, the Kellas cat holds a collection of white fur at the base of the throat, or on the chest region. The cat appears to exhibit behavior unlike any other Scottish wild cats. They have been repeatedly described as hunting in pairs and are said to be largely cursorial (built for running), not arboreal (tree climbing). Many specimens of the Kellas cat have surfaced over the years, with some having disappeared, while others are on display. One such example is kept in a museum in Elgin, Scotland. The Patterson-Gimlin film is a famous short motion picture of an unidentified bipedal creature that is said to have been filmed on October 20, 1967, by Roger Patterson and Robert Gimlin on the Klamath River outside of Orleans, California. The footage is one of best pieces of Bigfoot evidence in existence and has been examined by many researchers. The official story surrounding the video is that it was filmed by Patterson and Gimlin as they stumbled upon a large Bigfoot by the river. In 2009, another theory emerged which proposed that the famous clip shows a Bigfoot massacre carried out by Patterson, Gimlin, and six other men. Unlike other Bigfoot videos, the Patterson-Gimlin film is unique because it captures a Sasquatch in the open. In most Bigfoot videos made available, the creatures are viewed hiding behind trees or camouflaged on the ground. This makes the Patterson footage a bit unique and out of the ordinary. As the massacre theory goes, in 2006, a new version of the Patterson-Gimlin film emerged. The copy was much longer and showed eight men killing a family of Bigfoot. According to the story, the film starts off shaky and three Sasquatch are seen entering the picture. The creatures are digging in the sand when they are attacked by a sudden hail of gunfire which comes from the tree line. One of the Bigfoot is instantly shot dead and another bolts for the woods. The remaining Sasquatch strangely just walks off in the direction of the tree line. As the Bigfoot moves, the men continue to take shots at it from a distance. The walking Bigfoot is said to be the one you see in the popular film. In 2008, Bigfoot researcher M. K. Davis, who specializes in video stabilization, began to endorse the massacre story and claimed that he found evidence for the event. He says that a bloody Sasquatch corpse can be seen in a hole at the beginning of the film, in the earliest frames. Davis also points to a picture which shows Bob Titmus, Dale Moffit, and a white dog named White Lady next to a pile of red material. Davis has speculated that the Bigfoot seen the video was shot twice (once in the leg) and then hunted down. The story also mentions another film which is said to show a bunch of men dragging one of the lifeless bodies, placing it on a tarp or a pool cover, and then cutting it up. The history of cryptids can be traced over multiple centuries through folklore, mythology, and tradition. In some cases, a creature with similar characteristics and physical features can be given a different name across cultures. One such case is the modern Waheela. The Waheela is a wolf-like cryptid that has been reported in the Northwest Territories of Canada and areas of Michigan and Alaska. The animal has been described as a wolf on steroids. Some estimates have placed the height of a typical Waheela at 3.5 feet (1 meter) tall at the shoulders. Cryptozoologist Ivan Sanderson has suggested that the Waheela might represent a relict population of Amphicyonids, which are prehistoric bear-dogs. Reports of the Waheela indicate that the creatures have shorter legs than a wolf. The height comes from its massive body size. The Waheela’s ears are small and it has toes set farther away than typical wolves. Unlike modern species, the Waheela are never seen in packs and prefer to travel alone or in groups of two or three. The animals live in the coldest, most inhospitable environments of the extreme north, favoring areas where people don’t live. The characteristics of the Waheela are extremely similar to the Shunka Warakin, which is an animal mentioned in American folklore that is said to resemble a wolf or hyena. In 1886, a creature was shot by a man named Israel Ammon Hutchins on the Sun Ranch in Montana. The corpse was extremely mysterious and resembled the Shunka Warakin legend. The animal was stuffed, given the name Ringdocus, and displayed at a general store near Henry Lake’s, Idaho, until it disappeared in the 1980s. In 2007, Ringdocus was rediscovered in Pocatello, Idaho. To date, no DNA testing has been carried out on the animal. On November 2, 2006, in Garfield County, Montana, a strange 106-pound animal was shot after it killed a total of 120 sheep across a wide range of land. The creature was reddish-yellow in color and did not resemble a normal wolf. Cryptozoologists researched the story and suggested that the animal might be a surviving Shunka Warakin. The corpse has since been identified by the Montana Fish, Wildlife and Parks Department as a four year old male wolf with unusually red colored fur. Both the Waheela and the Shunka Warakin are similar to the Amarok, which is a giant wolf from Inuit mythology. The Inuit are a group of indigenous people that live in a location where the bear-wolves have been reported, including the Arctic regions of Greenland, Canada, the United States, and Russia. The Amarok were said to hunt down and eat anyone foolish enough to be alone at night. Unlike real wolves, they were said to be solitary and did not travel in large packs. Today, the mysterious Waheela is said to live in the Nahanni Valley of Canada’s Northwest Territories, including the Valley of Headless Men, which is one of the last unexplored places on Earth. In 2011, it was revealed that the U.S. State Department issued a series of regulations in the 1950s for people traveling to the Himalayan region of Nepal and Tibet in search of the Yeti. The rules said that all expeditions must buy a permit. If seen, the animal must be photographed or taken alive. “The creature must not be killed or shot at except in an emergency situation out of self defense.” Finally, any news proving the existence of the Yeti must be cleared through the Nepalese government, which wanted to take credit for the discovery. The story made headlines around the world because it showed that the United States and other governments believed that the Yeti might exist. In the 1950s, interest in the Yeti peaked when Eric Shipton took photographs of a number of large prints in the snow, at about 6,000 m (20,000 ft) above sea level while attempting to scale Mount Everest. In 1956, Polish Army lieutenant Sławomir Rawicz published a book titled The Long Walk in which he claimed that while crossing the Himalayas in the winter of 1940 with a group of soldiers, their path was blocked for hours by two bipedal animals that were moving around in the snow. In the 1950s, the Yeti caught the attention of adventurer Tom Slick. Slick came to the conclusion that there were two kinds of Yeti. One was about 8 feet (2.4 meters) tall and black in color, while the other was smaller, and reddish. Slick claimed to have witnessed the Yeti on separate occasions, but his encounters with the creature were few and far between. In 1959, Tom Slick made a remarkable discovery while on an expedition in Nepal. He reportedly witnessed a Yeti from a distance and watched the animal for a couple minutes. The creature was about 5 or 6 feet (1.5 – 1.8 meters) tall and had reddish-colored hair. After the animal disappeared, Slick and his team entered the area and found a pile of newly dropped feces. Slick collected the sample and took it to a French laboratory for testing. The analysis discovered a parasite named a whipworm. The whipworm is a worm that is associated with a wide variety of mammals and each species has a unique strain of the worm. The whipworm that was found in the feces could not be classified by science. “Since each animal has its own parasites, this indicated that the host animal is equally an unknown animal.” If true, the feces fossil is evidence that there could have been an unknown creature living in Nepal in 1959. It is one of the best pieces of evidence for the existence of the Yeti. Currently, the feces can be viewed at the International Cryptozoology Museum in Portland, Maine. Sadly, Tom Slick died in 1962 when his Beechcraft plane crashed in Montana en route to Canada. He was only 46-years-old. One of the most intriguing cryptids in the world is the Mokele-mbembe. The Mokele-mbembe is a large creature that has been reported in the Lake Télé Community Reserve, which is located in the north-east section of the Congo. Lake Télé is surrounded by a series of swamp forests that have never been explored. The land is extremely remote and rugged. A retired biologist named Dr Roy Mackal said of Lake Télé: “It’s the end of the world. It gives you a feeling of a surviving prehistoric time.” In 2007, a US-based Wildlife Conservation Society found evidence that there is a population of approximately 125,000 Western lowland gorillas in the Lake Télé Community Reserve, which is more than the current total population of the species. For hundreds of years, a large reptile-like creature has been reported in Lake Télé. It has been described as “half elephant, half dragon,” and looks like a big elephant or rhinoceros with a long neck, tail, and small head. Mokele-mbembe’s characteristics have caused some people to connect the sightings with sauropods. Sauropods were a form of saurischian (“lizard-hipped”) dinosaurs. They had long necks, long tails, small heads, and thick legs. Sauropods were once widespread on Earth and fossilized remains of the creatures have been found on every continent, including Antarctica. Mokele-mbembe is said to be gray in color and a territorial herbivore. Despite being an herbivore, the creature is reported to roar aggressively if approached by humans. Mokele-mbembe has been spotted on land and in the water. Sightings say that the animal might have a single horn, which is used to kill those who trespass on its territory. Since 1900, numerous expeditions have been carried out in search of the legendary Mokele-mbembe. In 1919, a 32-man expedition was sent to Africa from the Smithsonian Institution. The men reported large footprints, unexplained tracks, and strange noises. The expedition ended in tragedy when a locomotive suddenly derailed and turned over in a flooded area. The accident happened in a place where the locals were said to have seen the dinosaur. In 1979, a story emerged of an African tribe that trapped, killed, and ate a Mokele-mbembe. To date, many people have described close encounters with a large monster in the Lake Télé Community Reserve, but nobody has been able to provide evidence that it exists. Some have captured fuzzy photographs and videos, but nothing substantial. However, it is plausible that an undiscovered sauropod species could exist in this area of Earth on the grounds that there is a huge amount of unexplored territory. The land holds large creatures, such as elephants, which live in open clearings and thicker wooded areas. Homo floresiensis is a possible extinct species in the genus Homo. Homo is a genus that includes modern humans and those closely related. All species of the genus except Homo sapiens (modern humans) are extinct. It was thought that Homo neanderthalensis (Neanderthals), who died out approximately 24,000 years ago, were our last surviving relative, but in 2003 the remains of Homo floresiensis were found on the island of Flores in Indonesia. The partial skeletons of nine individuals were recovered, including one complete cranium. Archeologists recovered stone tools around the bones ranging in age from 94,000 to 13,000 years ago. It was determined that the species of Homo floresiensis was potentially alive as recently as 12,000 years ago. Homo floresiensis was unveiled on October 28, 2004, and was nicknamed the “Hobbit” due to its small body and brain size. Other features that might distinguish the species from modern humans include the form of the teeth, the absence of a chin, a different shaped humerus (upper arm bone), and the thickness of the legs. The height of the surviving skeleton was about 1.06 m (3 ft 6 in) tall. The feet of H. floresiensis are flat and long in relation to the rest of the body. As a result, it had a hard time walking and had to bend its knees further back than modern people do. If you look into the history and mythology of Flores, Indonesia, you will find many stories that describe human-like creatures named Ebu Gogo. The phrase ebu means “grandmother” and gogo means “he who eats anything.” The indigenous people of Flores named the Nage have described the Ebu Gogo as being a fast runner and standing around 1.5 meters (4.9 feet) tall. They were said to have wide and flat noses, broad faces with large mouths, and hairy bodies. The Edu Gogo were also said to have spoken a unique language. The creatures were able to mimic human speech like a parrot. The Nage people believe that the Ebu Gogo were alive as recently as the 20th century. The species was said to be stupid and easy to trick. It is thought that Homo floresiensis was hunted to extinction by the inhabitants of Flores because the creatures would steal food and kidnap children. With the discovery of the Homo floresiensis bones in 2003, some people have began to speculate that the Ebu Gogo myths found in Southeast Asia might be rooted in fact. Pterosaurs (winged lizards) were flying reptiles that existed on Earth from 200 to 65.5 million years ago. They are thought to be the earliest vertebrates to have evolved powered flight. The wings of a pterosaur were formed by a membrane of skin, muscle, and other tissues that stretched from the legs to a lengthened fourth finger. In popular media, pterosaurs are often referred to as flying dinosaurs, but this is incorrect. A pterosaur is not a dinosaur because they do not descend from the last common ancestor of the groups Saurischia and Ornithischia. Papua New Guinea is one of the most culturally diverse and unexplored areas on Earth. It is located in the southwestern Pacific Ocean and occupies the eastern half of the island of New Guinea and numerous offshore islands. The land is extremely remote and many undiscovered species of plants and animals are thought to exist in the interior of Papua New Guinea. For centuries, the locals have reported strange creatures and the area is home to many cryptids. One of the most famous is “Murray,” who is a giant dinosaur said to live in Lake Murray, which is the largest lake in Papua New Guinea. Murray has been described as resembling a theropod dinosaur, such as Tyrannosaurus. The Ropen is a flying cryptid that is said to live in the vicinity of Papua New Guinea. They have been described as large featherless creatures that have long tails and briefly glow as they fly. The Ropen has been said to look like a huge bat or pterosaur. Starting in 1994, a series of expeditions were carried out on Umboi Island in search of the Ropen. Umboi Island is a volcanic island located between the mainland of Papua New Guinea and the island of New Britain. After investigating the island, cryptozoologists returned with stories of a large nocturnal creature that exhibits bioluminescence and has a wingspan of about 3 to 4 feet (0.9 to 1.2 meters). The Ropen is said to feed on fish, but reports have surfaced that the creatures have performed human grave robbing. In rare cases, certain giant Ropen have been seen with a wingspan of over 10 feet (3 meters). In late 2006, Paul Nation, of Texas, explored a remote mountainous area on the mainland of Papua New Guinea and videotaped two lights that the local natives called “indava.” The lights are thought to have come from the bioluminescence of a Ropen. In the 1990s, the cryptid became a target for creationists because traditional interpretations of the Bible suggest that pterosaurs lived in human times. If a modern day pterosaur was discovered, it would help prove the authenticity of certain sections in the Bible. Other people who have studied the reports feel the Ropen is a Flying Fox fruit bat or frigatebird.